There’s no person in the world who doesn’t like the idea of living in a conservatory. This can be an attractive addition to your house that will allow you to enjoy the bountiful pleasures of nature outside, without worrying about the temperature. While building a conservatory may sound difficult at the first thought, it’s indeed possible with the correct knowledge. Sure, you can always get in touch with the builder to do it for you, but why not make an effort for yourself first and measure the outcome? There are a number conservatory companies offering DIY conservatories which you can assemble yourself. This guide offers some basic instructions on how to build your own conservatory. Measure the space: Make sure that measurements and dimensions are pinpoint accurate on the base plan. Dig the foundation: Once the measurements are in place, dig a proper foundation of your measured conservatory and remove all the waste material that is in the way. Level the earth: Properly level the land and establish it as the main working area. Use concrete: Concrete the foundation to the appropriate height, which is approximately 4 courses down from the existing house. Build the damp course: When you’re making the damp course at the conservatory floor level, make sure it’s even. Make no mistake about it; you need to put in quite a bit of effort to make strong walls that make a stellar impact. To lay the foundation of dwarf walls, begin from the base and go up to no more than 1m in height. Place the brakes appropriately and ensure that the cement dries out completely. Place external sills by positioning them on top of the dwarf wall. These sills should be ideally custom-made according to the measurements of your conservatory property. Properly secure all the frames to the house, especially the first one that begins from the home and connects outward until meeting from two sides. Erect doors of custom-made sizes that would fit right into the existing structure of a missing piece of a puzzle. Once you’ve built the walls, it’s now time to concentrate on properly putting the roof your conservatory. The custom roof reads you had made with the accurate measurements need to be placed right on top of the wall frames. Add and appropriately fit the roof rafters in between the hip bars and the roof ridge, and later on, fit the glazing sheets. Gutters are important! And so you must properly add gutters to your conservatory layout to keep the roof well in proper health for a longer time. Depending on whether your conservatory style is contemporary or traditional, do not be afraid to decorate it to your heart’s content. Damp proofing preparation inside of a conservatory when it exits the prevailing structure are another common feature where most people get wrong. Sloping, vertical, and horizontal abutments deserve the same kind of treatment as building detailing with the help of damp proof courses, cavity trays, damp proof membranes, and flashings all linked together. For proper temperature control, insulation is an absolute must in your conservatory. Consider roofing using a 25/35 mm thick polycarbonate material as it provides excellent thermal insulation and costs very little as well. You may also try out glass roofing alternatives that provide equally good insulation with the additional benefit of a self-cleaning coating. Just be sure to adhere by exact measurements for best results. Does a conservatory require any planning permission? No, conservatories come under the classification of permitted developments as long as you meet certain criteria. The conditions are usually dictated by the country and state laws of where the user is located. This is one of the reasons why getting in touch with the builder is recommended as they are well aware of the prevailing laws of your region or state. 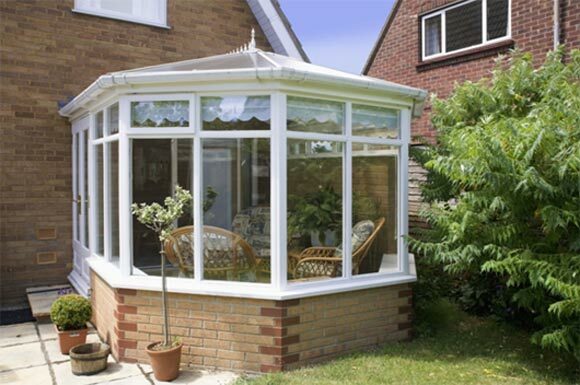 Consulting conservatory planners and builders can be of great help. Having a conservatory attached to your home is a great feeling that can not only improve the quality of your life but the moments you spend with your loved ones.